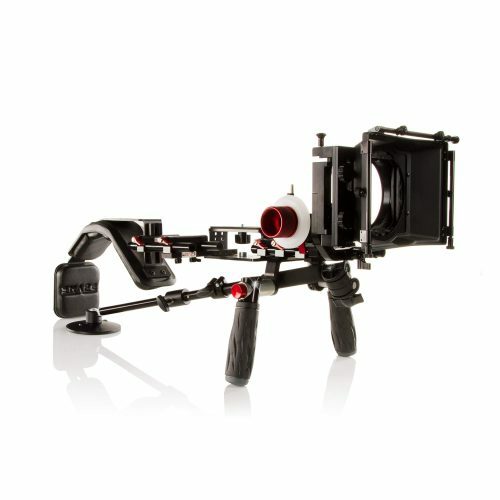 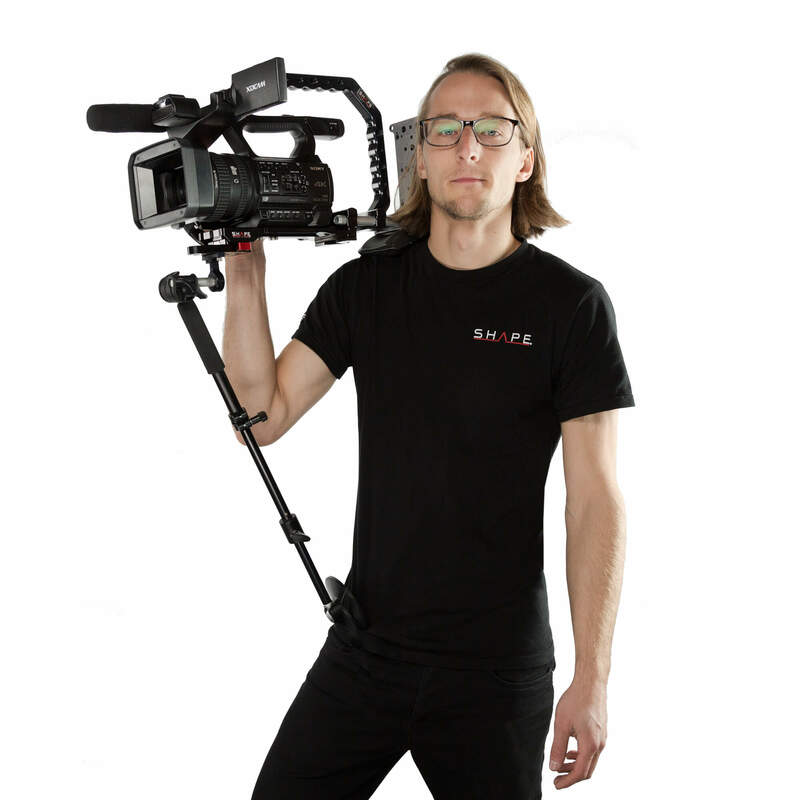 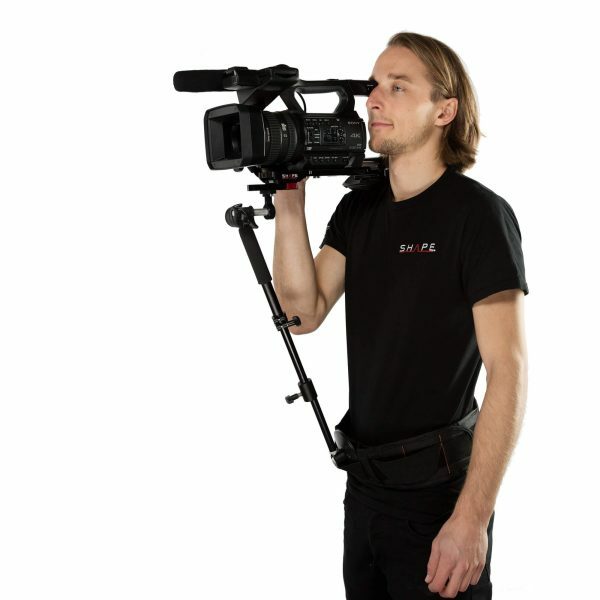 The Telescopic Support Arm with Rod Bloc from SHAPE is a variable length support arm designed to stabilize a shoulder rig while keeping the user mobile. 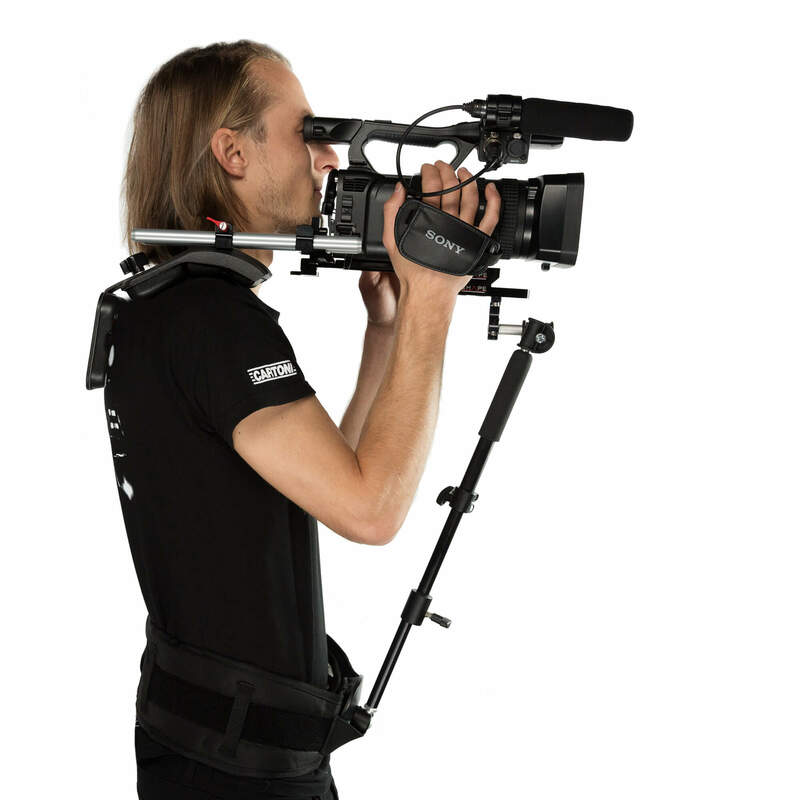 The unit consists of an aluminum telescopic arm, Rod Bloc, and multi-function shoe which can be independently adjusted to the user’s preference. It can be adjusted at two points, from a minimum length of 14″ to a maximum of 20″. 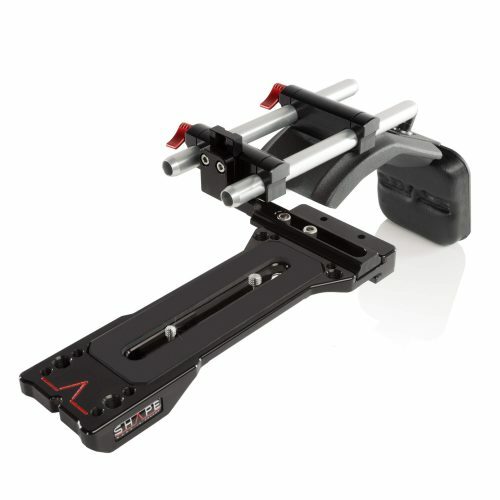 The top end of the rod is capped by an adjustable single-knob joint which supports and positions the CNC machined aluminum Rod Bloc—the attachment points for a shoulder-mounted rig. 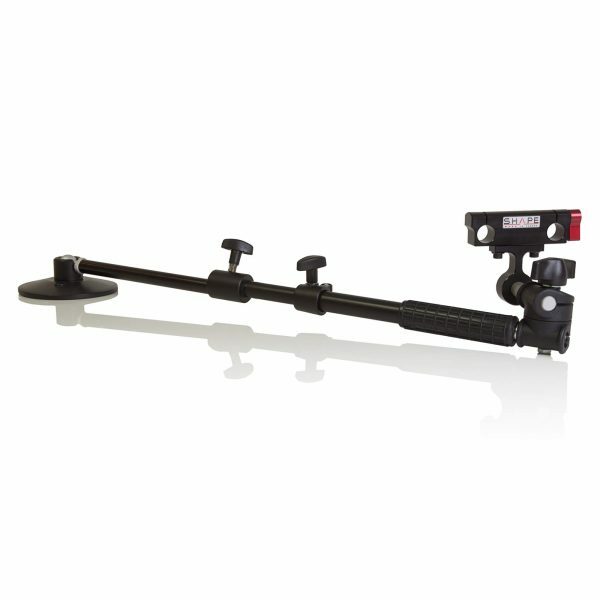 At the arm’s base is an internal spring designed to provide added control when tilting vertically, allowing the user to capture a more stable image while in motion. The bottom end of the telescopic arm is fitted with SHAPE’s multi-function shoe—a cup-style base designed to rest against the user’s torso or in a support belt for additional stability. 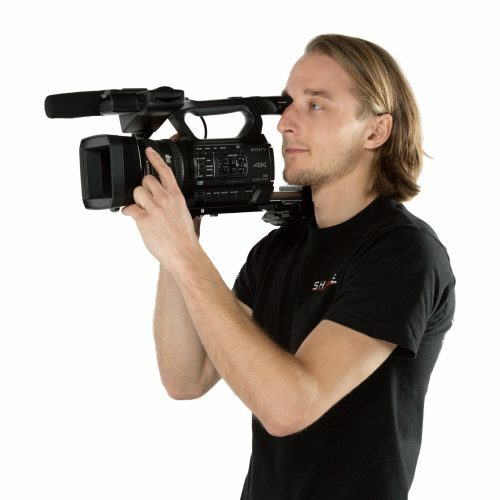 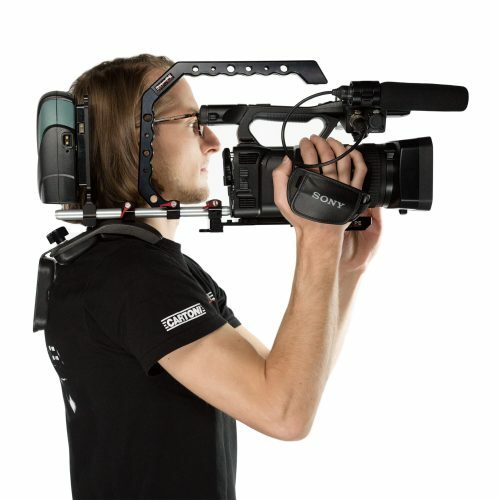 If needed, the shoe may be removed so that the arm may be used as a boom, providing a connection point for a monitor, microphone, light, and more. 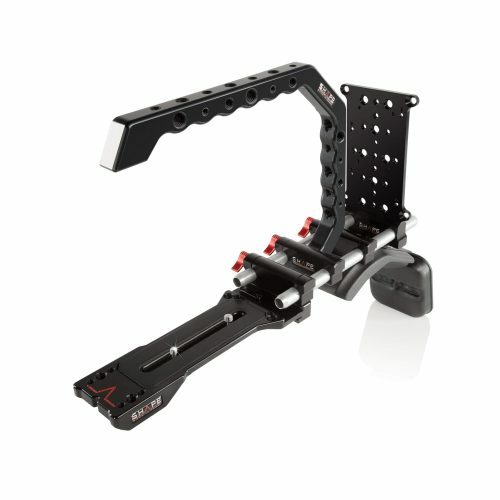 The support cup at the end of the arm rests on the SHAPE Belt rather than directly on the operator.